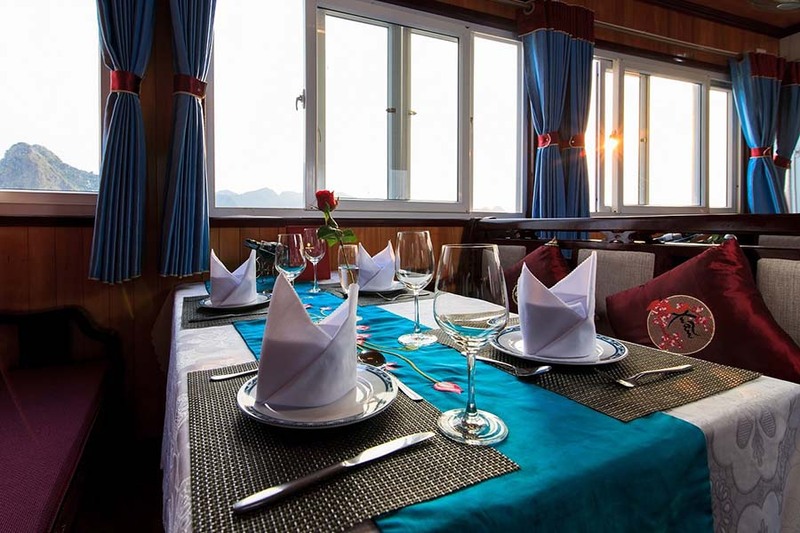 Genesis Cruise day tour is combining the luxury in service on traditional wooden junks and a 6-hour on board cruising to the Amazing cave of Halong Bay, introducing the stunning nature of Halong bay and also the unique local culture. 08.00-8.30: Pick up at the hotel. 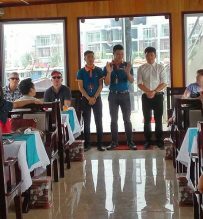 Depart to Tuan Chau marina on the EXPRESS WAY in comfort and time saving, also skip the commercial shopping center as usual. 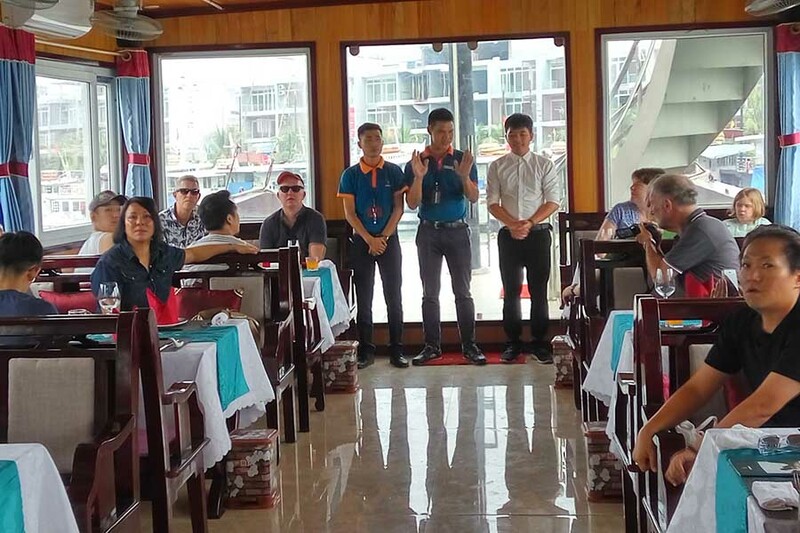 The bus arrives to Tuan Chau marina, get on Genesis Cruise at private pier, and welcomed by the crew, enjoy a drink following Cruise manager’s briefing. While the boat heading the bay. Enjoy a nice set-menu lunch. By local flavors in each dish, it vitally helps to recuperate. 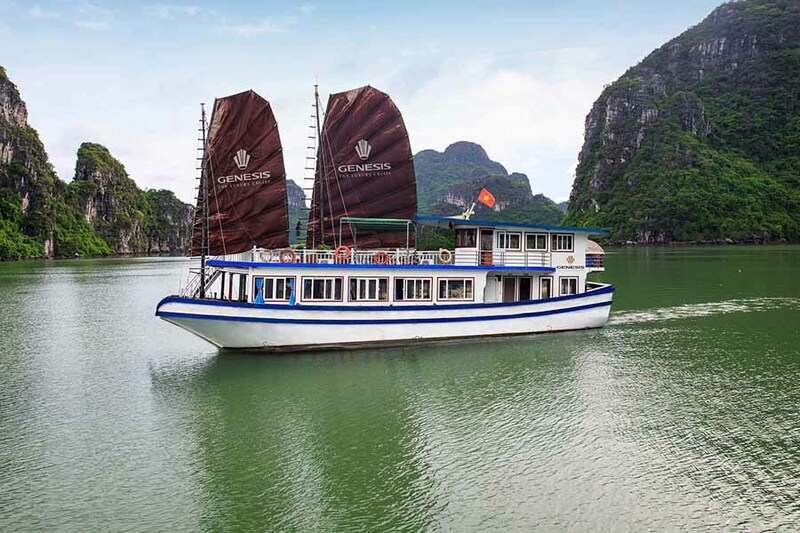 In the meantime, Genesis boat goes among islets, that make Halong bay becomes wonderland. 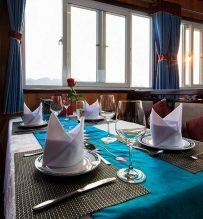 After lunch, you are free to relax on sundeck. While the light of afternoon decreases slightly, hundreds of islands with different shapes definitely amaze you by its natural beauty. 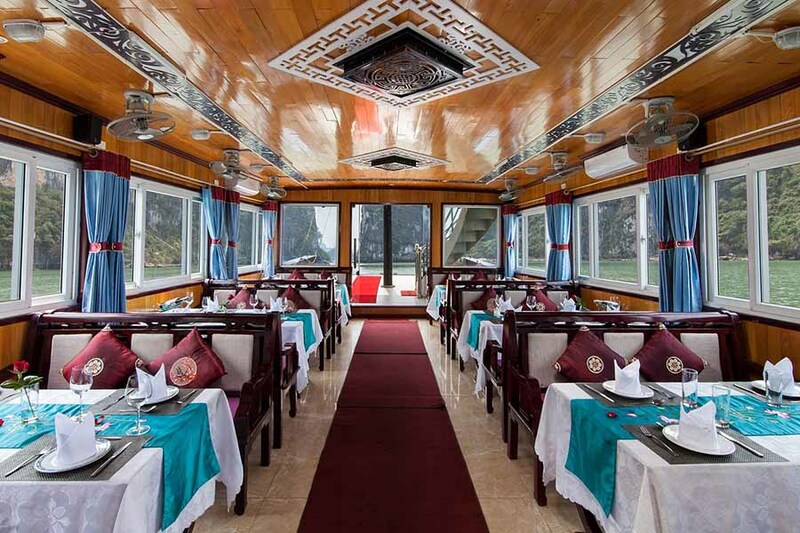 What Genesis cruise makes your trip different is not the sights of Halong bay, but the line that you are on. 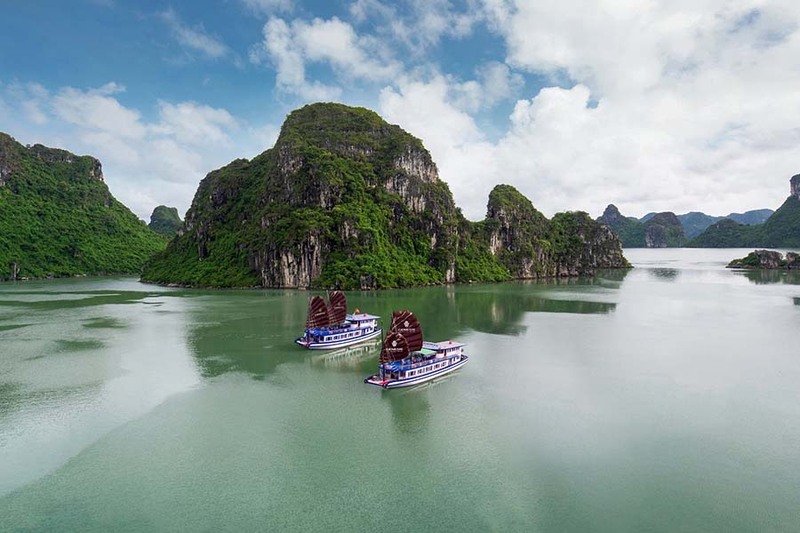 It is the best to watch unparalleled scenery of Halong bay in slow motion. 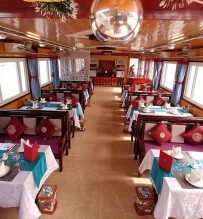 The Genesis boat will move to Hang Luon (three tunnels) area, a water cave for kayaking, rowing bamboo boat or just stay on board for relaxing and the boat will slowly moving around to sightseeing more on the bay. 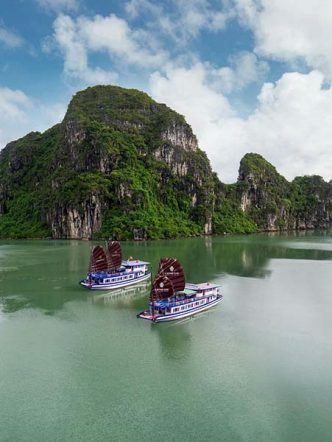 You will discover the area’s tranquility by kayaking – an indispensable water activity in Halong bay, for those who love challenging themselves or sitting on bamboo boat (Sampan), for those who love being gentle and sophisticated, to admire breathtaking scenes. 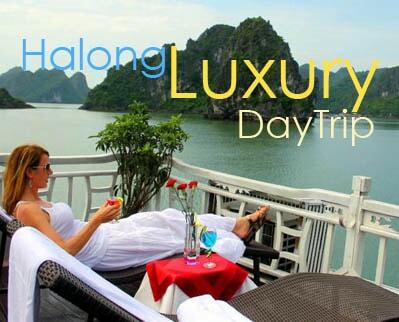 This is moment you get closer to Halong’s nature. You will leave the Genesis boat and spend around 01 hour to explore Sung Sot (Surprising or Amazing) cave. This least known cave locates on a remote island, which is rare in cave-lake seascape. The compartment in the heart of Sung Sot cave is surrounded by extremely beautiful niches. The outside section has a high ceiling with lots of hangover. In particular, the second compartment suddenly expanded immensely with curved domes printed in streaks of very smooth and smooth hats, wholly over the head like a large, wide theater. This is the hugest and most beautiful cave in Halong bay, locates in core area of heritage site. 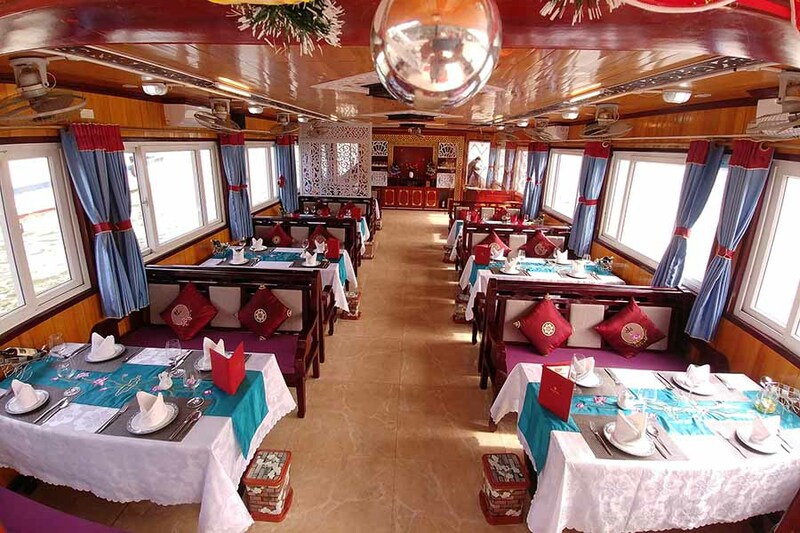 After discover Halong bay with some majors activities, the boat takes you back pier. Time for you to take a rest after activities and capture the sunset on the bay. 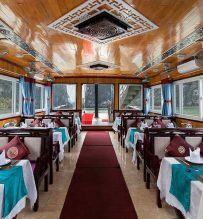 A tea break with cocktails, fruits, snack, egg coffee.. will served to full fill the romantic ambience. 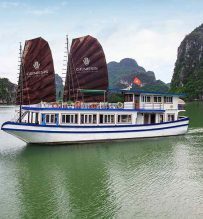 It is time to say farewell to Halong bay. Disembark to get on the bus, heading back Hanoi.